The first hospitals are founded by physicians of the navy on colonial service. They are meant for French and indigenous soldiers and civil servants. Besides these state establishments, there are hospitals and maternity clinics, as in Hanoi or Antananarivo, founded by Christian missions and charitable organizations. Under the Third Republic, the increase in the number of civil servants and soldiers as well as the needs of the native populations necessitate the creation of other permanent establishments, especially hospitals. The development of these institutions is the same everywhere. In just a few decades a whole network of hospitals is brought into being. Every capital and every important town is provided with a hospital to which the sick people in the territory are sent. Some of these establishments acquire international reputations. Among them are the De Lanessan Hospital in Hanoi, the Grall Hospital in Saigon, The Girard and Robic Hospital of Antananarivo, the Principal Hospital of Dakar, the Mahosot Hospital in Laos and the Colonial Hospital of Pondichery. The functioning of these hospitals is novel and assured by the Colonial Health Service with the assistance of different native hospital workers, notably auxiliary doctors and chemists. The installations and the technical equipment improve following the progress of medicine but with a time-lag due essentially to financial difficulties. The way in which these institutions evolve after independence is disparate. As soon as colonial territories begin to exist, in Canada and in Santa Domingo, the first Royal Hospitals are established. These establishments are "conceded" to a religious order which runs them and assures their functioning while the technical part of the enterprise becomes the responsibility of the doctors, surgeons and apothecaries commissioned by the king. In such territories as Guyana and Senegal, which belong to the second wave of French colonisation, one still finds establishments that are several centuries old. Thus, in the town of Cayenne, founded in 1612, there is, in 1698, "a shed covered with palm leaves and pompously called a hospital" (A. Henry). Destroyed by fire, a permanent structure replaces it in 1727. It is confided to the nuns of Saint Paul de Chartres. A hospital of 170 beds is built in 1777 which, in 1950, is given the name Jean Martial*. It still stands proudly in the Place des Palmistes. 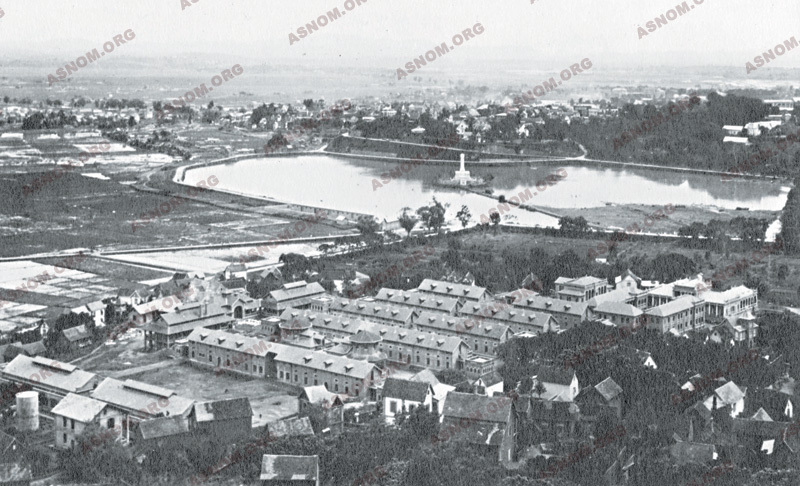 A military hospital exists in Saint Louis in 1786. It will be rebuilt in 1827 and still functions today. 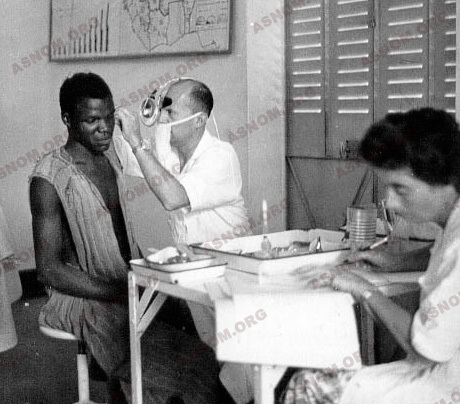 Put in charge at first of naval physicians, then of the Colonial Health Service, it is transferred to Senegal in 1960 and French military personnel will serve there for another thirty years. The French Empire, spread out over the five continents, always needs more and more civil servants in administrative structures and military personnel to assure security. The creation of efficient hospitals proves to be all the more necessary as, at this time, the transport of seriously-ill patients by ship to France is long and, in most cases, not even envisaged. Centres for repose are even established in regions which are cooler and less debilitating (Ethiopia, Fouta-Djalon in Guinea, Dalat in Annam). Besides these populations of metropolitan origin, there are more and more natives as the empire extends and its populations increase. Neither general nor maternity hospitals are available to them at this time. 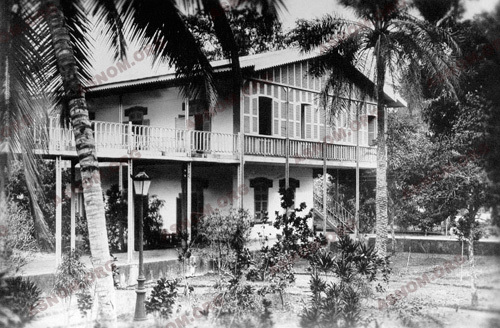 The time then came, at the end of the 19th Century, to build and develop hospitals in the colonies. The medical staff is provided by the recently created Colonial Health Service. Native assistants are trained. The Pasteur era is the prelude to great discoveries which revolutionize medicine in the tropics. The colonial hospitals work in close collaboration with the Pasteur Institutes, where the latest research in this field is undertaken. In a few decades, the colonial hospitals in the big towns are in no way inferior to certain hospitals in metropolitan France. When military operations are being undertaken, the sick and the seriously-injured are admitted into basic and makeshift installations : first-aid posts and ambulant hospitals in the countryside. In times of peace, the hospital is a source of confidence for the indigenous people while it welcomes and looks after the European population as well as native soldiers and civil servants. Permanent installations, better and better equipped, are called ambulances, health centres and finally hospitals. This last stage is attained when two conditions are fulfilled : on the one hand, the admission of patients into well fitted-out shelters; on the other hand, high-quality medicine all the more efficacious when it is dispensed by specialists capable of handling more sophisticated techniques. The advent of electricity revolutionizes working conditions : surgical operations take place under bright lights, the autoclaves and the sterilizers are modernised. Later on, x-rays, refrigeration, cold chains and air-conditioning transform the practice of medicine. At the beginning, only military personnel are in the services : in the fever and contagion sections as far as medicine is concerned and in the section for the wounded in surgery. The qualifications of these workers are made more explicit. Non-military public employees are recruited. They are few and occupy such posts as that of chief midwife or dentist. Special attention is given to the needs of poor indigenous people, who have been receiving free medical attention accorded to the natives. Very often, as in Bamako, in Conakry..., they are admitted into particular quarters or wards. In the big capitals, a second general hospital is built for them, for example in Dakar, in Antananarivo, in Pnom-Penh, in Saigon. These hospitals are also directed by the Colonial Health Service. The establishment of hospitals in the French Colonial Empire is very rapid. In 1900, there are 30 central and secondary hospitals, 80 "ambulances", 6 000 beds available. The two oldest hospitals were established by the Navy, in Saigon in 1873 and in Dakar in 1890. These hospitals in general contain wards for patients. They are built amidst vegetation; the tropical gardens that surround them lend them a particularly pleasant character. Recent constructions are more huddled up, having a tendency to be monolithic, the architecture being less attractive and the functioning more uncertain because of lifts and air-conditioning which consume energy and whose maintenance is costly. Near these hospitals there are usually a school for nurses and one for midwives. Phnom Penh : Calmette* Hospital. Conakry : Ballay* Hospital, a physician who became the governor, died of yellow fever. The training hospital foreseen in the texts of the school of implementation in Marseilles never saw the light of day. In 1909, faced with a rush of the injured, victims of the war in Morocco, the clinical services of the Military Hospital Michel Lévy in Marseilles are given over to colonial troops. The new qualified personnel, specialists and assistants in this health service, take over the responsibility of its direction and its functioning as well as the clinical and practical training of new candidates who aspire to be doctors in the Colonial Health Service. 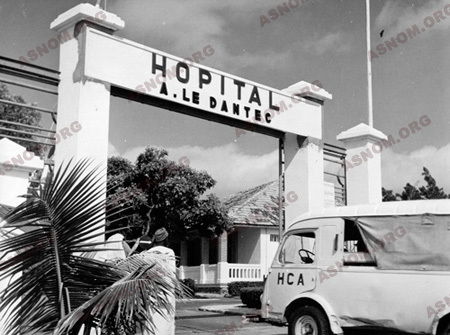 In 1963, the Michel Lévy Hospital is closed and the new Training Hospital A. Laveran for the Army assures continuity in the domain of the treatment of tropical diseases. The two-pronged "Ecole du Pharo-Hôpital Laveran" of Marseilles becomes the accepted authority on tropical medicine within the army. Inaugurated in 1894 by De Lanessan, Governor General of Indochina and a former physician, the Hanoi Hospital is furnished with 450 beds to begin with. This number rises rapidly to 500. It is named after Lanessan in 1928 and becomes the Indochinese hospital possessing the best technical equipment. When a school and then a Faculty of Medicine are set in place, it assures the clinical support necessary for teaching. 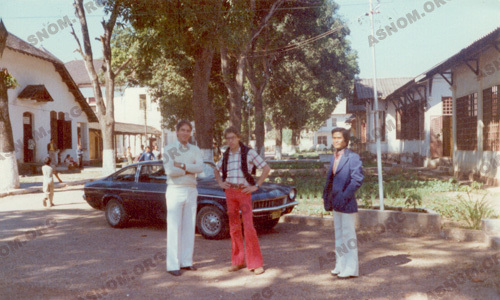 During the war in Indochina, it is an important centre of surgical treatment for injured French and Vietnamese people. Its capacity then reaches 1 500 beds. In 1954, following the Geneva Agreement, it is closed. The naval hospital is built in 1867 and opened in 1873. It comes under colonial administration in 1890, receives Calmette* who stays there till 1905, the date of the opening of the Pasteur Institute. The chief physician and inspector, Grall, sets in place, from 1905 onwards, medical assistance for the indigenous people, and becomes the chief administrative officer of the Health Service. The hospital is given his name in 1925. At the request of several other big military hospitals (415, Coste) established in the territory Saigon-Cholon during the war in Indochina, it offers great medical support to the expeditionary forces. 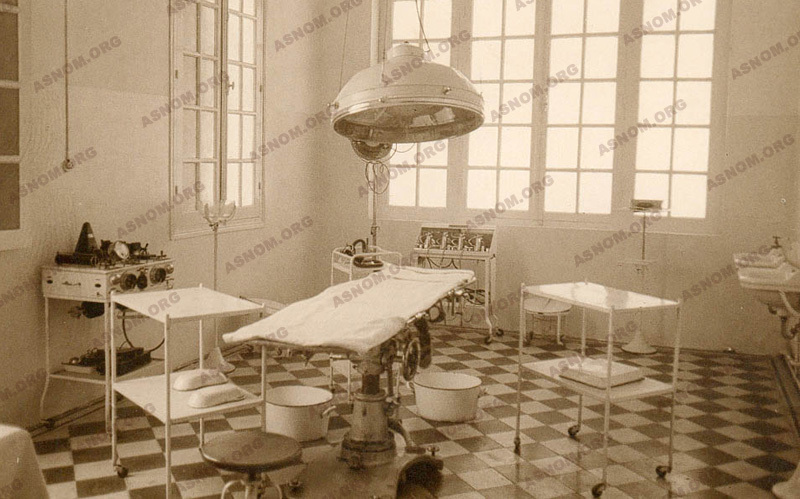 In 1958, it is still under French administration, becomes a civil hospital. It is taken over by the Foreign Ministry. It has a capacity of 560 beds and French colonial physicians continue to work there. In 1976, it is handed over to government of Vietnam and becomes a paediatrics hospital. 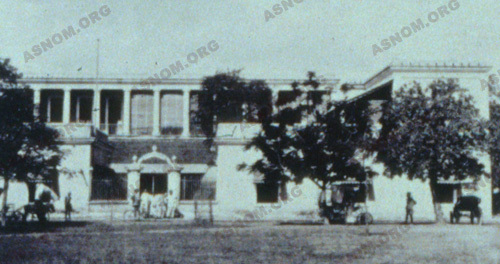 A successor of the first medical establishments founded under Pavie, the hospital of the Laotian capital was called for some time the Hospital of Doctor-Captain Guénon, then the Mahosot Hospital, Mahosot meaning "the great medicine" but which could also be translated as "the place where one is treated with compassion". Situated on the left bank of the Mekong, right in the centre of the city, it is surrounded by venerable Buddhist pagodas. It is a hospital with wards for patients in general and a special ward for bonzes. Its capacity increased from 120 to 450 beds with the growth of the urban population and the diversification of services. 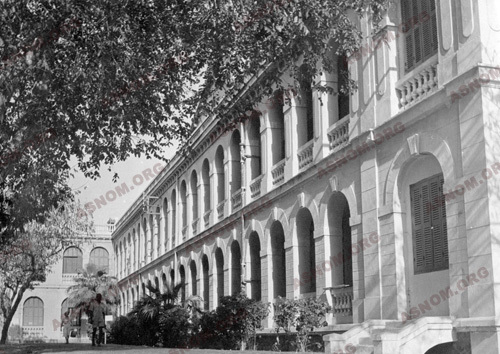 Having been a military hospital for a long time, especially during the period of internal dissension and then during the wars in Indochina, it goes on to become an element in the hospital-university complex, the nearby Royal medical School having become a faculty. It is equipped with high-quality technical installations in different specialties. Having always worked in conjunction with the physicians of the Colonial Health Service, the Laotian authorities gradually take over the responsibilities of running the establishment after the Independence of the country in 1953. Pondichery becomes French for the first time in 1673. The city expands considerably with Dupleix in 1742 but has to be handed over to the English in 1763. It becomes French again without interruption from 1814 to 1954, when it is incorporated into independent India. A strong sign of French presence remains in the right-angled turnings of the streets. 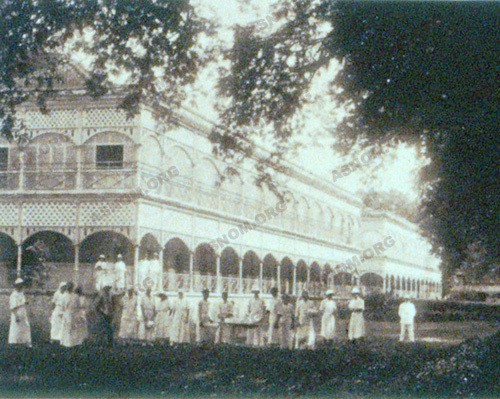 The colonial hospital dates from the 19th century. It is situated at the junction of the area inhabited by the creoles and the indigenous town and was intended to serve a population of 300 000. Even when limited to patients who are seriously ill, its capacity doesn't correspond to the needs and over-crowding has become a serious problem. 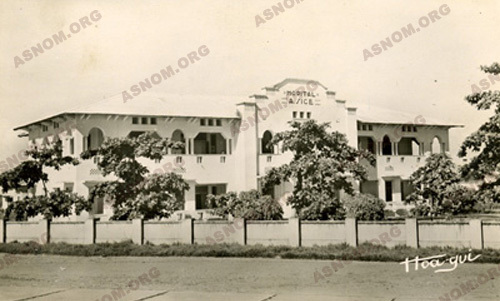 Until 1959, the physicians of the Colonial Health Service assured the functioning of the hospital, helped by Pondicherian doctors. The local nursing staff is supervised by nuns who are nurses. Teaching at the medical school is also assured by Health Service physicians. When Pondichery returns to India, a somewhat utopian project of a bilingual college to continue instruction and treatment is conceived but is not realized due to a lack of will-power and financing. The local population deeply regretted the departure from this hospital of the physicians of the Colonial Health Service. The hospital of Soavinandriana, a hospital school founded in 1890 by "The Medical Missionary Academy" is inaugurated by Queen Ranavalo III. In 1895, after the military intervention requisitioned by Gallieni, it shelters French soldiers. The indigenous hospital of Ankadinandriana takes in patients transferred from Soavinandriana. 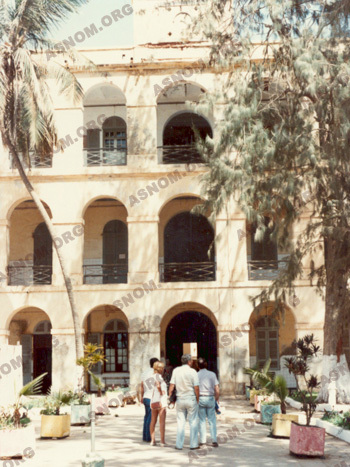 Transformed first of all into a military hospital, it is later called The Colonial Hospital. Then in 1957 it becomes the Girard* and Robic* Hospital in honour of the two discoverers of the vaccine against the plague. 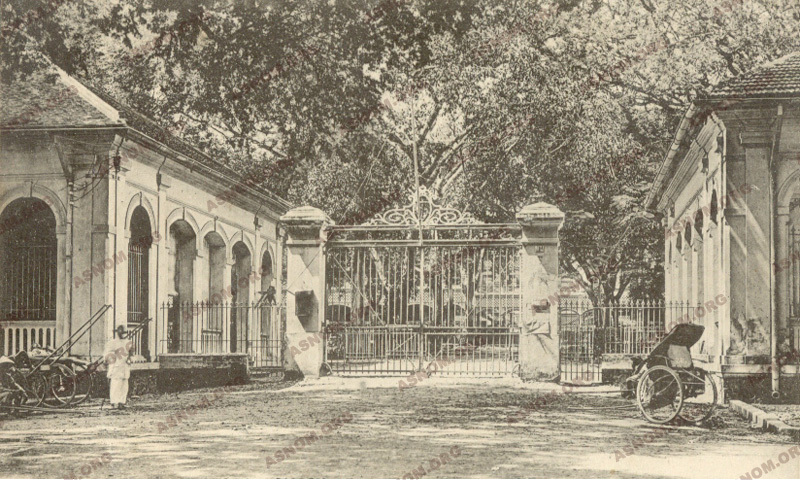 Transformed and enlarged between 1902 and 1909, it is a military hospital, then an establishment run by the Ministry for the Colonies in 1926. Modernised in 1963, its capacity is increased to 450 beds. 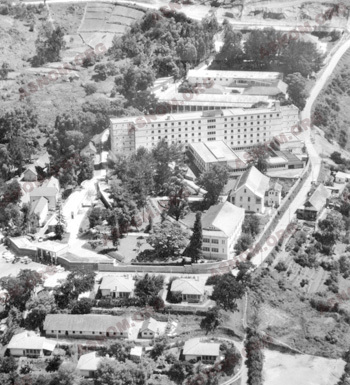 After being a reputed centre of treatment for both the civilians and the military of the entire region, it becomes, in 1979, the Madagascan Military Hospital. A convention provides for the presence of French military physicians in the capacity of collaborators. Today it has its original name. Moreover, in Antananarivo, there is now a big hospital for the indigenous people, the Hospital of Befelatanana. In 1882, it is decided that a hospital with 200 beds should be built on a site close to Cap Manuel, in front of Gorée, on the plateau. In 1890, the first buildings of the present hospital are constructed and the historic quadrilateral centre is completed in 1897. Very soon, the large population of the city justifies the construction of new buildings. The hospital grows considerably, its capacity surpasses 600 beds while obstetric-gynaecologic and paediatric services make their appearance. The hospital loses its military character and admits all patients. After Independence in 1960, the administration of the hospital remains temporarily French, due to intergovernmental agreements. The French military physicians continue to work with the Senegalese military physicians who gradually take over the principal responsibilities. In 1993, the French still run the hospital and there are still 22 doctors, 2 chemists and 2 administrative officials. Moreover, in 1912, a big hospital for the indigenous people is established, with staff from the Colonial Health Service working in it. It is a hospital for aiding the natives who are admitted to it. It is named after Le Dantec*. In 1960, it contains a thousand beds. The texts of 1890 stipulate that the Director of the Health Service is at the same time the Chief Physician of the hospital. The establishment is placed under the authority of the Governor. Administrative and financial responsibilities must be borne by the Colonial Commissioner, who is the successor of the Naval Commissioner. As early as 1895, the hospitals are open to civilians and natives and their manner of functioning is modified : the Chief Physician is assisted by an administrator and has full authority over the working staff. Soon this plurality of functions becomes difficult to manage and the Chief Physician is distinct from the Director of Health Services. The most novel element is certainly the financing of these establishments. Little sums of money (which go to the public revenue department) come from private individuals who are admitted at their expense for consultation or for hospitalisation. But the hospital has the right to a budgetary donation from the colony. It is not a question of balancing the budget. The authorities assume 90 % of the cost of treating patients. Soldiers and civil servants, both European and indigenous, as well as all the natives receive free treatment. Like all other public institutions and the entire health service, the hospital too is free. Biological laboratories rapidly become very important. They are naturally linked to the neighbouring Pasteur Institute and participate to a great extent in research. The evolution of medicine and the immense progress made make it necessary for doctors and chemists who work there to acquire further qualifications (to become assistants, specialists in colonial hospitals, highly-qualified teachers). These qualifications are acquired during an appointment in France between two sojourns in the colonies, usually at the Pharo in Marseilles, the training school for the Health Service of colonial troops. These qualified personnel have the vocation of teaching in the hospitals and faculties that begin to appear. A long period was necessary to accustom the populations to the health service. Cultural reticence, the rivalry with traditional medicine, the fact that patients are separated from their families, etc..., all these difficulties had to be overcome gradually. In spite of the postponement and the parsimony of allocated budgets, the colonial hospitals are able to benefit from the technical progress of medicine. 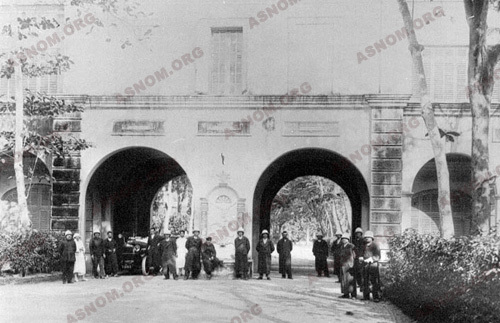 In 1907, Audhuy*, having been present in Bordeaux at the birth of radiology, installs in Hanoi a service of electricity for medical purposes which would dispose of radium in 1921 (M. Martin*). Progressively, all the colonial hospitals are equipped with services of radioscopy and then x-rays. In 1953, methods of artificial hibernation and "disconnection" are applied in the case of seriously injured patients in Indochina, even before many metropolitan hospitals had recourse to them. Carayon* in Saigon and then in Dakar, Courson* in Dakar, J.F.Blanc* in Antananarivo, perform the first neurosurgical operations. In 1960, at the Grall Hospital, Mazaud* performs the first catheterisms which make it possible for Cornet* and Courbil* to begin closed-heart surgery. In 1963, in Antananarivo, Constantin* introduces haemodialysis, the kidney machine. With the progress of discoveries and budgetary allocations, the most important hospitals benefit from the most modern techniques. Hospitals have particular destinies depending on political situations. History brings rapid changes especially after the Second World War. In Indochina, the war leads to reconstructions in 1954. The resumption of military activity, together with the American presence, brings about a new political situation which ends in 1976. In Africa, political situations evolved fairly calmly, Independence having been acquired in 1960. Hospitals and other structures are handed over to the local authorities. Nearly all the hospitals continue to function with army doctors while awaiting the advent of native physicians. 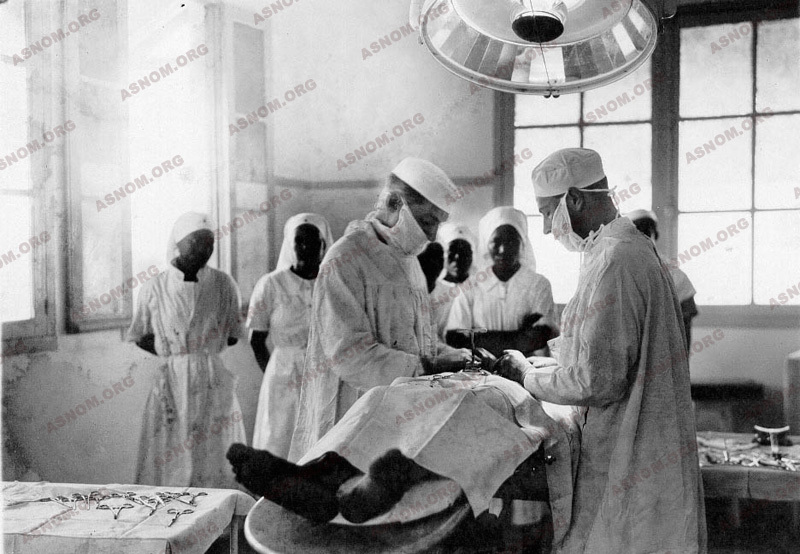 Certain establishments, as in Antananarivo, Djibouti and Dakar, remain hospitals for the national army. They continue to receive considerable aid from French army medical staff (physicians and chemists) as well as loans from the French government as a gesture of cooperation. Other establishments, such as the A. Le Dantec Hospital in Dakar, the hospitals of Abidjan and Antananarivo become hospital-university centres, taking into consideration the quality of the existing technical equipment. After more than a century of existence for the oldest among them, these hospitals can boast of a glorious History. They have been faithful to their mission of providing treatment to all these populations. The results have been excellent and the testimonies of satisfaction are unanimous. For most of them, their activity continues more than forty years after Independence, because they have been able to adapt themselves to social evolution.